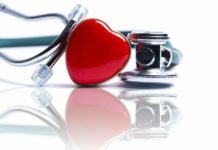 Home Diet and Nutrition Greenbelly Meal Replacements: do they live up to the hype? Greenbelly Meal Replacements: do they live up to the hype? Like a lot of busy people, we love the meal replacement craze. 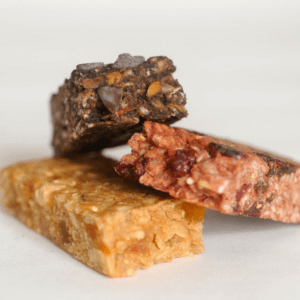 These drinks, bars and snacks pack maximum nutrition into the easiest possible form to store, transport, prepare and consume – and ideally, they taste like something you actually want to eat. 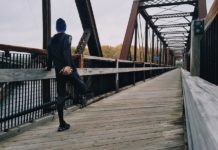 This makes them great for sports and active travel – but (lifehack alert) they’re also a great way to stay fuelled during a busy work-week. Prepping a week’s worth of meals to bring to work is great in theory, but when your lunch-break is thirty seconds long at your desk, sometimes a shortcut is the only way. Greenbelly has something of a cult following within the meal replacement scene. 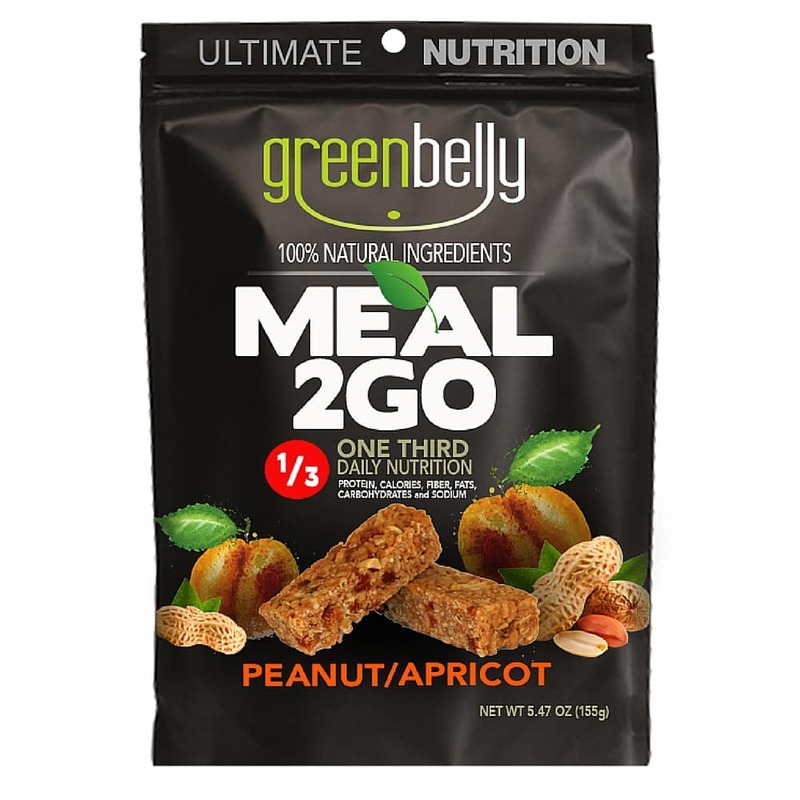 Available in three flavors (cranberry/almond, dark chocolate/banana and peanut/apricot), each of Greenbelly’s 650-calorie Meal2Go packages contain two meal bars, which together – according to Greenbelly – provide one third of your daily requirements for not only calories but also carbs, fats, fiber, sodium and protein. The bars are gluten-free, but do contain honey (and the dark chocolate/banana bars also contain milk), so they’re not suitable for strict vegans. No cooking, heating, stirring or added water required: these bars are ready-to-eat. Greenbelly came to online prominence a couple of years back when owner Chris Cage ran a crowdfunding campaign on Kickstarter, reaching their initial goal in just 36 hours and eventually raising over $20000. Clearly, the product captured the public imagination. 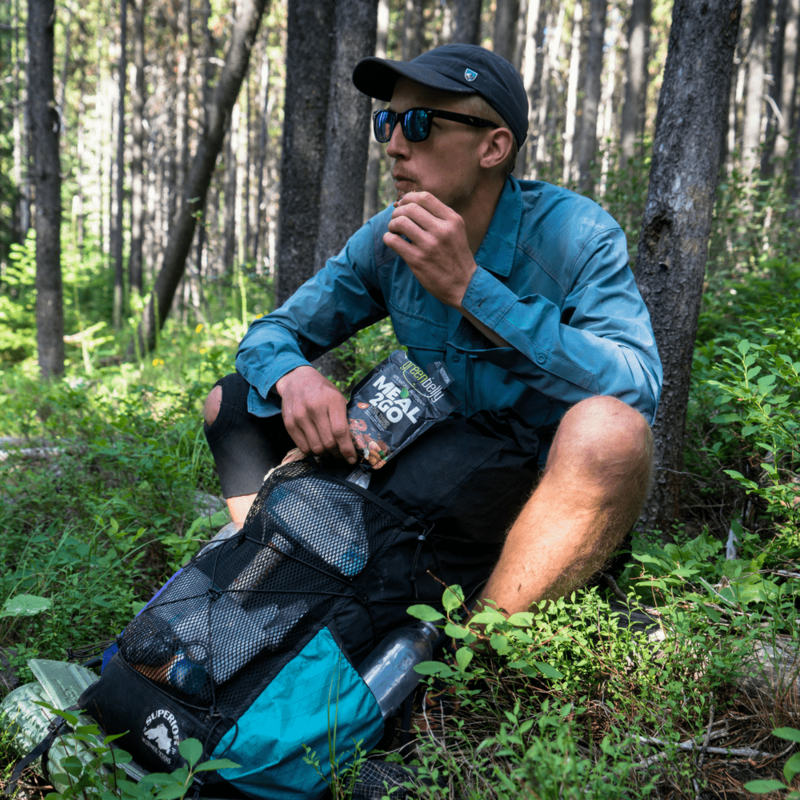 And since then it’s continued to be popular with hikers, backpackers, long-distance cyclists, ultrarunners, campers, climbers, and even preppers (although prepping blogs point out that Greenbelly meal bars can only be stored for a limited period at room temperature, and should be rotated every six months). This brand’s popularity among outdoor sporty types makes sense: Greenbelly was born out of Cage’s own frustrations with the trail nutrition challenges he discovered back in 2012. Having quit his job to seek adventure, he hiked the Appalachian Trail and took a 3000-mile cycling tour of New Zealand, experiencing firsthand the difficulties in packing and transporting enough food to last the journey and keep him fuelled. ‘Creating the perfect backpacking meal’, he says, ‘became my mission’ – and in 2014, one collaboration with a food scientist later, he was pretty sure he’d achieved it. First off, take it from someone who has eaten a lot of disappointing meal bars: Greenbelly bars taste great. We loved the crispy, crunchy texture of crisped rice, packed with fruit and nuts and held together with gently sweet syrup: no dense, jaw-numbing monotony of pureed date-paste here! We tried each flavor and everyone had a different favorite. We also wanted to see how long each meal would genuinely keep us feeling full, so we agreed to see how long after a consuming a Greenbelly package it would take us to start feeling snacky: the average was six hours, which is an all-time record in this office. The downside? 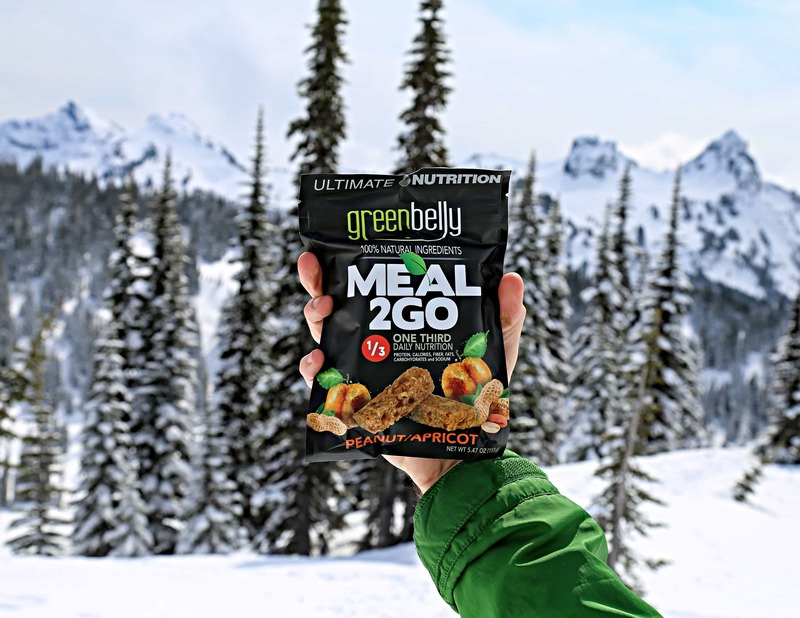 If you factor in shipping, Greenbelly meals work out to between $5-8 per meal, which makes them a little pricey for a long-term commitment like a hiking trip: maybe more workable for something shorter like an ultramarathon. If you’re seeking a meal replacement for non-sport reasons – maybe just to keep you fuelled for a busy week when you know you won’t have time to cook – then in our opinion, Greenbelly is way too high-carb. If you’re watching your carb intake, this is probably not something you’re going to want to eat too often. In conclusion: Greenbelly is a company with a great vision and a great-tasting product: if they can make a bar with about one-third of the carb intake of their current offering, we’d recommend this to just about anybody.